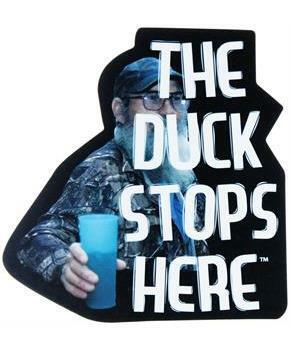 Show off your love of Duck Dynasty with this officially licensed magnet by Just Funky! 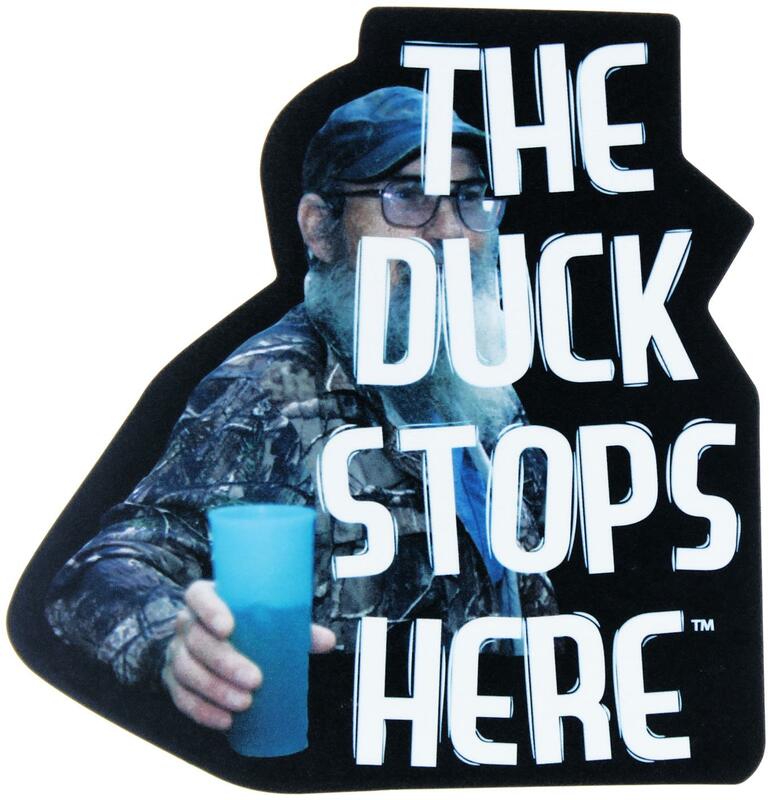 Magnet features an image of Si with the text "The duck stops here". Attaches to any smooth metal surface, such as your refrigerator or locker. Sure to make a great gift for your favorite Duck Commander fan!